Wearing a wig after you start locs is a sign of fear. Wearing a wig after you start locs is waging a war with self-love. 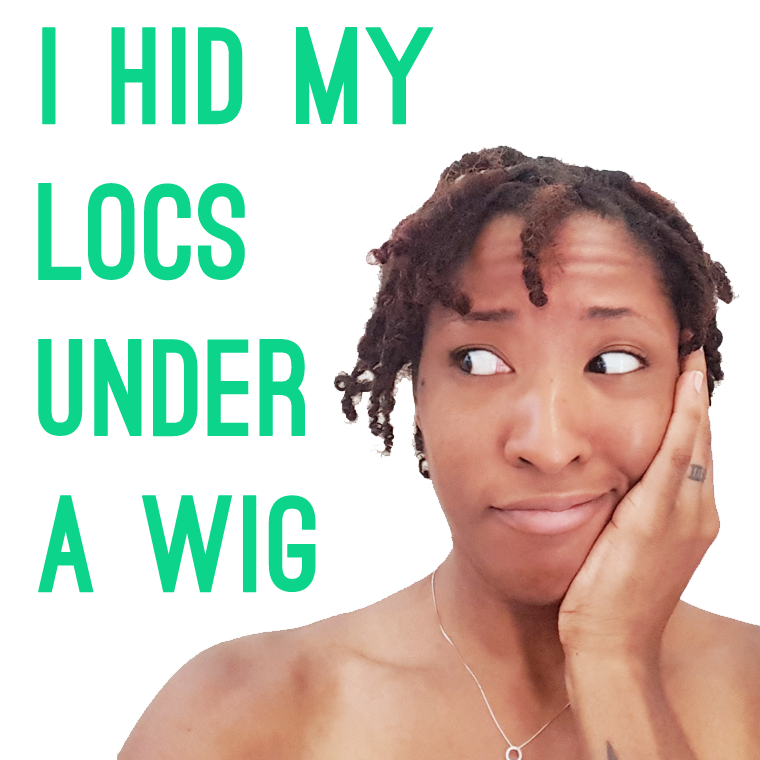 Wearing a wig after you start locs is… common. ….I can speak on it from personal experience. Many people will argue that wearing a wig is a styling option for women that like to “change their hair often”; yet never acknowledge the psychological implications of covering your own natural hair. The day I wore a wig over my locs, was the day that I was going into court to contest the accusations of a police officer. My personal psyche told me that if I were to be “accepted” and not “judged” I needed to have straight, tamed hair as opposed to my expressive coiffure that was reaching out towards the sun amongst other directions. I was battling my self-confidence, my values, my beauty and my culture for hours before the trial. Thankfully, what I’ve learned along my 7 year journey to embracing my natural hair was that a strong support system is essential to progression. In that moment of realization, I reached out to my support and their feedback / words of encouragement were helpful to my internal battle. I’m sharing my story because it is important that we can talk about the issues we face with self-identity and self-love rather than feel like we’re the only ones and have to battle alone. I realize your immediate support system may not be enough and I’m here to create a safe space for you. When you make the decision to start locs, you should have a consultation with a professional, especially one that is supportive of the journey and can encourage you along the way. You should also mentally prepare yourself for the journey and be open to embracing your locs at all of its stages. And lastly, you should NOT try to hide behind a European beauty aesthetic because your hair, your beauty and worth are so much greater, and no one will realize that until you show them. Do you think there is still a cultural stigma surrounding locs? I love your hair ! I just read saw your post regarding going to court and wearing a wig vs locs. I get it ! I was brought up thinking that locs were a sign of difiance where now I believe mine to be a sign of personal growth and beauty. My locs are only 7 months in. Ive been trying to go two months between retwists. My hair is fuzzy sticks up all over at times but I love it . At the same time I’m aware of those looks that read when are you going to do your hair . I think your brave and strong to wear you locs to court. You looked beautiful ! Interesting …cause I was considering wearing a wig over my hair when i start my loc journey..the short phase does not appeal to me at all. So then the question becomes if you get loc extensions is that a sign of self hate as well? I don’t think it’s self-hate Reuther way. 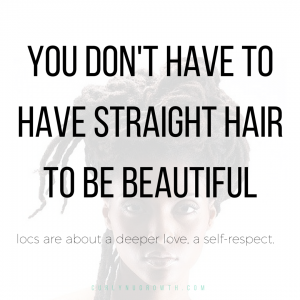 I would definitely encourage you to embrace your locs, especially at the shorter stages otherwise you do miss out on important lessons that they teach you, as well as the freedom of locs becaus you’re “trapped” under a wig (in my opinion). But ultimately do what makes you most comfortable. You’ll still go through a process with loc extensions, it is just with longer length. Thank you for sharing your experience! Just know that it does get better with time and if it’s any encouragement, my entire family hated my locs until they matured now they all want locs… Go figure!